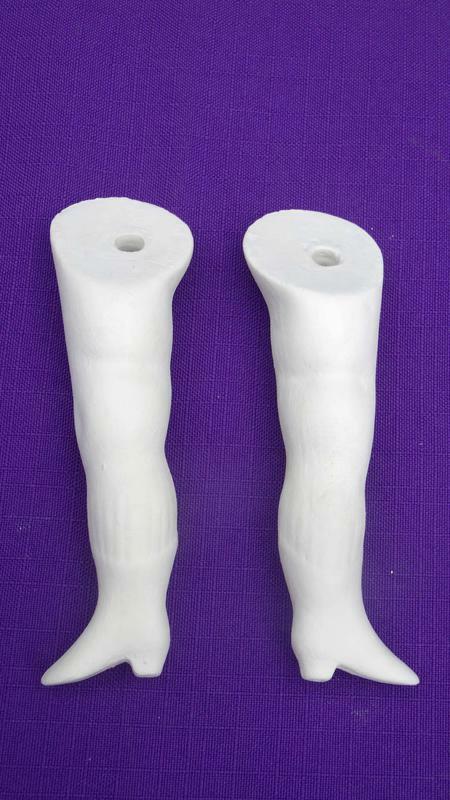 These measure 3.25" from the top inside leg to the heel. They came from a Sterling mold K312c. 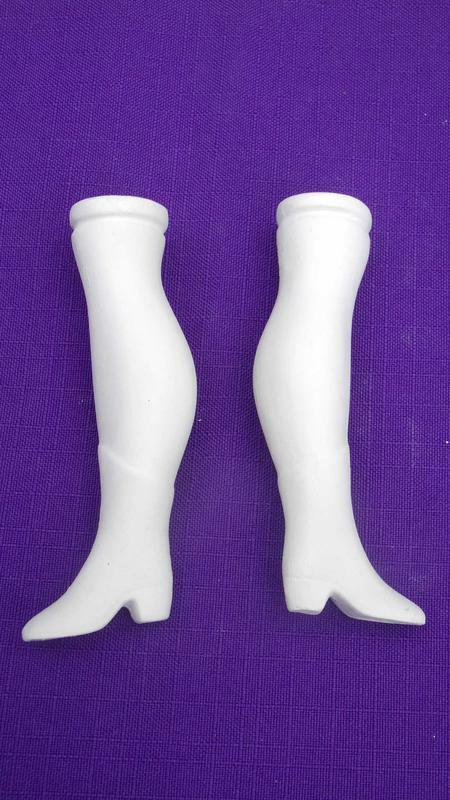 They have detailing of a ribbed sock with boots that are higher in the front and in the back. They are ready for you to paint. 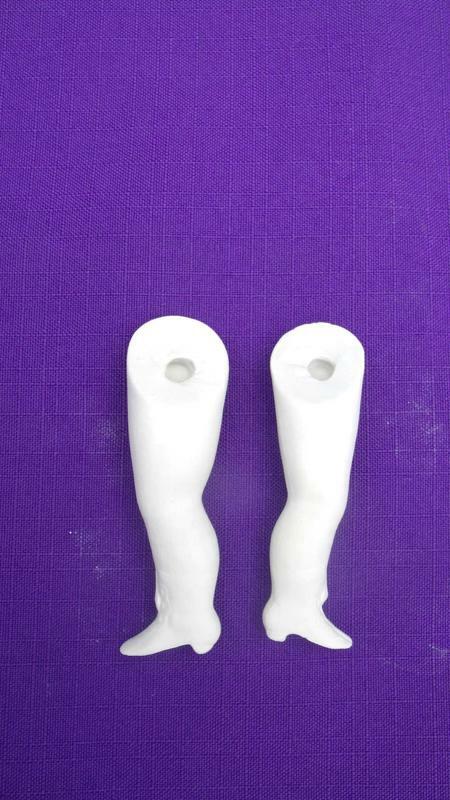 This set of ceramic legs measure 2" from the top inside thigh to the heal. They have a go-go style boot detail. Sterling mold 309. These items are all fired ceramic bisque. they can be painted with any craft paint. 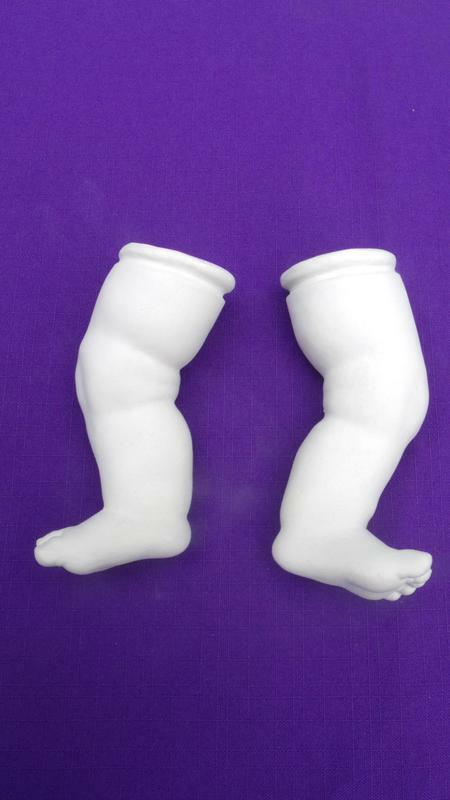 You can also paint them with ceramic paint and then have them fired again at a ceramic shop near you. 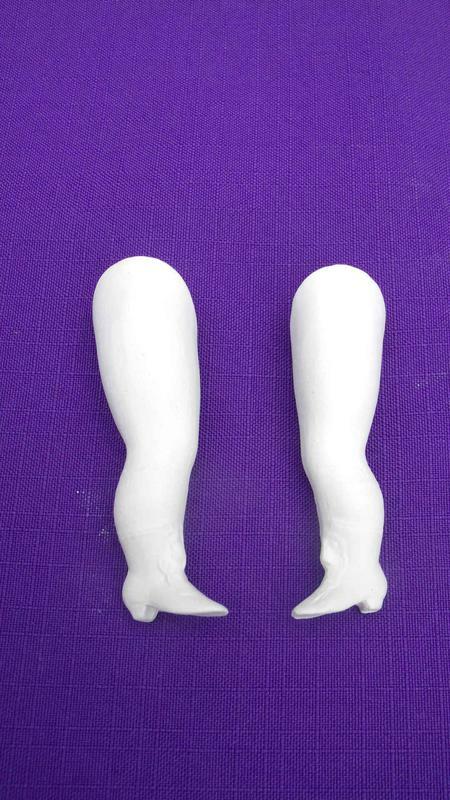 I have lots of other ceramic doll parts to add to this page and so you should check back often. Also some customizing can be ordered.